Cooper is a 15 year-old sophomore at Seattle Academy in Capital Hill. He comes from an affluent family located just down the street in Madison Valley and has an allowance of $25 a week. His father is a network engineer and his mother volunteers at Seattle Children’s hospital and is a PTA member. He has an older brother and younger sister who attend Seattle Academy as well. Cooper balances the stress and pressure of his schoolwork by blowing off steam online. 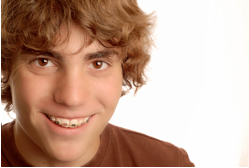 He enjoys video games, sports, music, and humorous websites, all of which help take his mind off the pressures of being a teenager, including his nosy parents. Cooper likes to stay connected to his friends even when he’s at home , so social network integration, online gaming, and status sharing are a must. He’s competitive so he likes finding out about things before his friends. Also, he’s a dude. He wants dark masculine colors, no-nonsense design, and nothing that would embarrass him if his younger sister or older brother caught him using it. It’s Thursday night and Cooper has 30 minutes before he absolutely must start his homework and he wants to spend it goofing off online. He’s looking for something that is entertaining, will take his mind off school, and he can share with his friends tomorrow at school or later online. Also, he already spent his allowance so everything must be free. 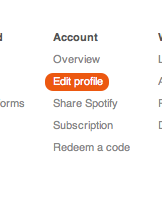 Spotify: Cooper easily sets up a Spotify membership via his Facebook profile. He downloads app and is listening to Justin Bieber, his guilty pleasure, in no time. 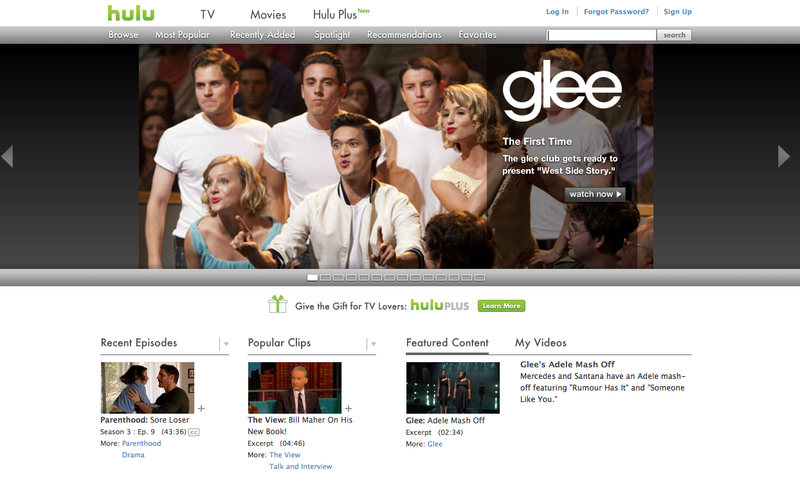 User function is seamless, intuitive, and appeals to the instant gratification of any teenage boy. Cooper’s only dilemma stems from his inattention to detail. 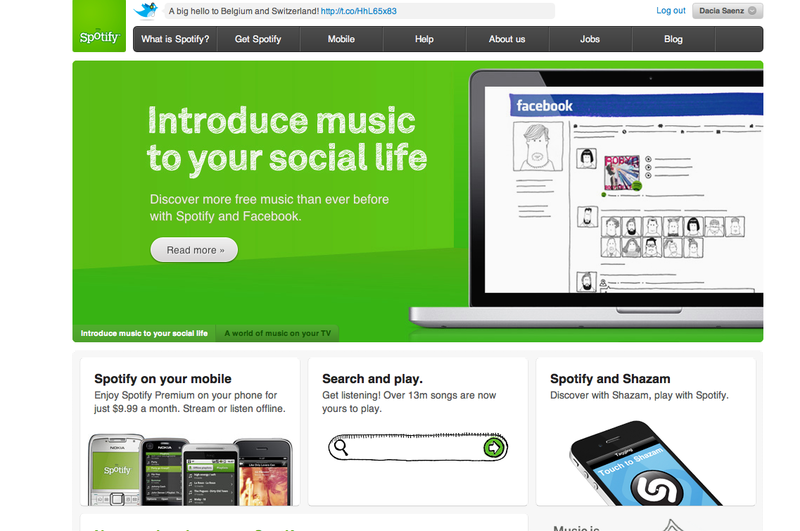 In his hurry to listen to music, he failed to set up his account to keep his music selections from posting to Facebook. He doesn’t know it yet, but every one at Seattle Academy now knows that he has Bieber Fever. With Spotify providing the soundtrack for the evening, Cooper then goes to the Playstation Blog site to sign up for Call of Duty Elite, a social network and stats tracker specific to the popular war game. 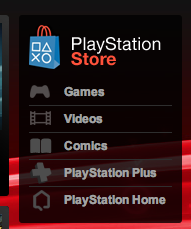 He clicks on the tab in the right column labeled “games” instinctively, not realizing that the link is to the Playstation Store, not a path to find concentrated content on Playstation games. Following that thread, he is lead to a customer service page that appears to help people with shipping, and basic troubleshooting, but not a place to get insider info on various games, or in-depth “knowledge” on games specifically. 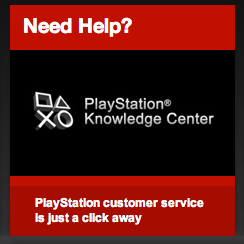 Again, he clicks back to the home page, continues to scroll down to the bottom of the page and finds another link titled “knowledge center” in the footer. 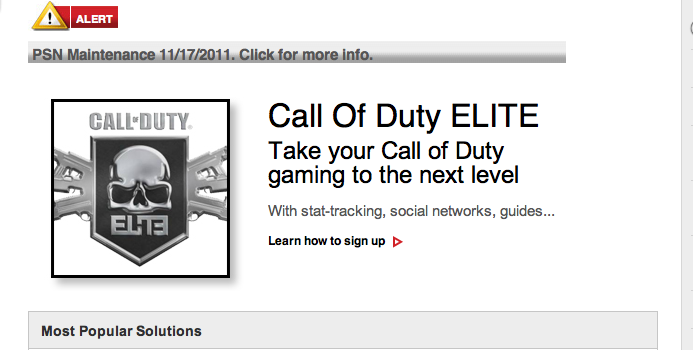 He decides to click on this as a fluke, and lo and behold, that link leads to the Call of Duty Elite sign-up instructions and info. He attempts to go back to the home page by hitting the link “home” in a link history map at the top of the page that reads “home, knowledge center, answer” which is supposed to represent the trail of links that he took to get to the current page. This link takes him to us.playstation.com rather than his original point of entry, blog.us.playstation.com. He has to navigate back to the original blog page using the back buttons. Ultimately, Cooper is able to get signed up to the Call of Duty social network, but it took some digging around to try and find it and it can even be argued that he stumbled upon it accidentally. Its surprising that the blog website does not point users to the interactive elements, like specifically tailored social networks of their popular titles. Call of Duty is one of Playstation’s most marketed titles, advertised as a highly interactive game, with people playing in teams and against one another globally. A dedicated social network is a major “DUH!” for a game like this. 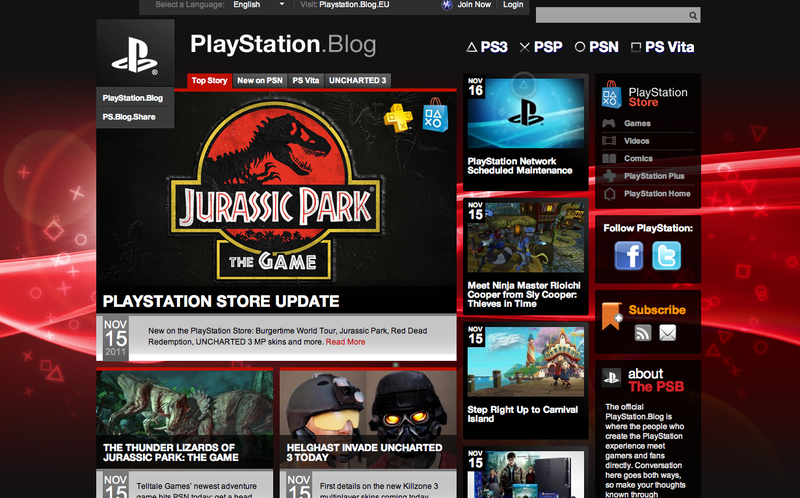 Therefore, it is incredibly surprising that links to these unique social networks are not obvious or highlighted on Playstation’s blog page, which is essentially for gamers. Cooper was able to accomplish what he set out to do, but we can argue that it required some hunting, and given his time constraints, he was unable to poke around the Call of Duty Elite site as much as he would have like to by the time he was set up. He successfully posts the goriest clips he can find in an effort to show his Facebook network what a tough guy he is. 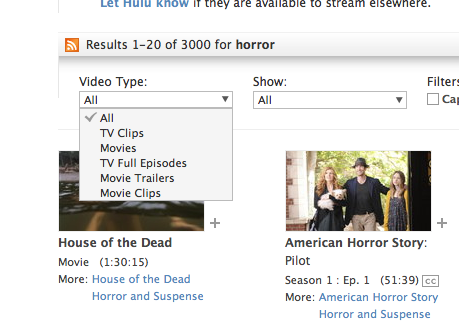 Hulu for the win.